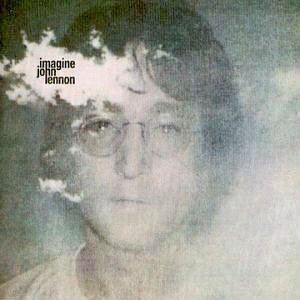 When John Lennon penned his song “Imagine,” he captured in 131 words not only the spirit of naturalism but also humanism. He cast an inspiring vision of a world without God, but he left unanswered the questions that atheism must explain about the natural world. Atheism must account for the origin of nature. Since there’s a big bang, then it’s fair to ask: Who or what lit the fuse? And it’s fair to ask: Isn’t it circular to appeal to nature as the explanation of nature? The origin of nature needs an explanation. Atheism must account for the fine tuning of the universe. Astronomer Fred Hoyle, himself an atheist, wrote: “A common sense interpretation of the facts suggests that a superintellect has monkeyed with physics, as well as with chemistry and biology, and that there are no blind forces worth speaking about in nature. The numbers one calculates from the facts seem to me so overwhelming as to put this conclusion almost beyond question” (Fred Hoyle, The Universe: Past and Present Reflections. Engineering and Science, November, 1981. pp. 8–12). Chance or necessity are insufficient explanations for the fine tuning of our universe. Atheism must account for the information that makes life possible. At least two very different things compose a DNA molecule: 1) The A-T-C-G molecules; and 2) the information contained therein. Think of a CD. A CD is made of a base layer made of a polycarbonate plastic, a thin layer of aluminum coating over the polycarbonate plastic, and a clear protective acrylic coating over the aluminum layer. The information on a CD is etched onto its surface with a series of pits in just the right sequence. And that information is not contained in the properties of the aluminum, plastic and acrylic. It comes from a different source. Bill Gates says: “DNA is like a computer program but far, far more advanced than any software ever created” (Gates, The Road Ahead, Penguin: London, Revised, 1996 p. 228). Where does the information that makes life possible come from? The atheist must provide an explanation. Atheism must account for biological complexity. This is easy. Some may think. However, in Darwin’s day, it may have been easier to imagine evolution as the explanation of the complexity of life. But we now know that a single cell contains many molecular machines that are far more complex than anything Darwin imagined. This presents a problem for evolution. And another biochemist, Michael Denton, writes: “Molecular biology has shown that even the simplest of all living systems on the earth today, bacterial cells, are exceedingly complex objects. Although the tiniest bacterial cells are incredibly small, weighing less than 10-12 gms, each is in effect a veritable micro-miniaturized factory containing thousands of exquisitely designed pieces of intricate molecular machinery, made up altogether of one hundred thousand million atoms, far more complicated than any machine built by man and absolutely without parallel in the nonliving world” (Evolution: A Theory In Crisis). This intricate complexity at the very foundations of life poses a huge problem for any naturalistic explanation of the origin of life. The simplest cell is complex assembly of organelles that are dependent upon one another to function. Atheism must account for the abrupt appearance of biological diversity. In the Cambrian explosion some 530 million years ago, many animals suddenly appeared in the fossil record without apparent ancestors. This abrupt appearance of nearly all the animal phyla on earth poses a problem for the Darwinist. Stephen C. Meyer writes: “If Darwin is right, Agassiz argued, then we should find not just one or a few missing links, but innumerable links shading almost imperceptibly from alleged ancestors to presumed descendants. Geologists, however, had found no such myriad of transitional forms leading to the Cambrian fauna. Instead, the stratigraphic column seemed to document the abrupt appearance of the earliest animals” (Darwin’s Doubt: The Explosive Origin of Animal Life and the Case for Intelligent Design.). This sudden occurrence of a wide range of living organisms needs explanation. Atheism must account for the fact that human beings are thinking things. From the naturalist’s perspective natural processes operating within the rigid laws of science account for all phenomena, including thought. This poses an array of problems for the materialist. Does matter think? Is matter self-aware? Does matter have emotions? Does matter choose? Atheist philosopher Thomas Nagel writes: “Materialism is incomplete even as a theory of the physical world, since the physical world includes conscious organisms among its most striking occupants” (Mind and Cosmos: Why the Materialist Neo-Darwinian Conception of Nature Is Almost Certainly False, p.39.). Nagel gives us a window into his psychology when he writes: “I want atheism to be true and am made uneasy by the fact that some of the most intelligent and well-informed people I know are religious believers. It isn’t just that I don’t believe in God and, naturally, I hope that I’m right in my belief. It’s that I hope there is no God! I don’t want there to be a God; I don’t want the universe to be like that.”(The Last Word, Oxford University Press, 1997, pp. 130-131.). If atheism is true, it runs into all sorts of problems explaining not only aspects of our own being but also the world in which we live in, as well at the the existence of the universe itself. Click this link for a video presentation of this material. Want to learn more about Christian beliefs? Click the button below.